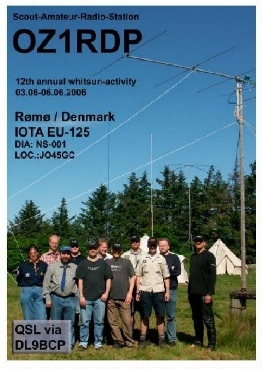 the aim was an area of the Bremen Partner-church in Dranske on the island of Ruegen (EU-057). 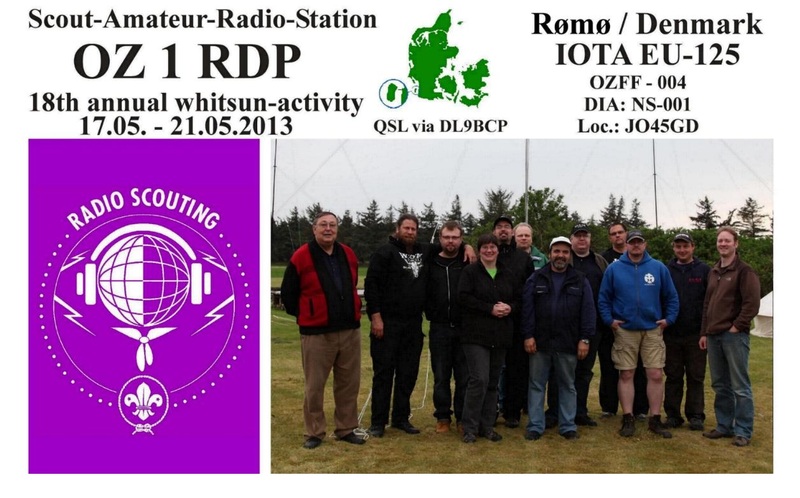 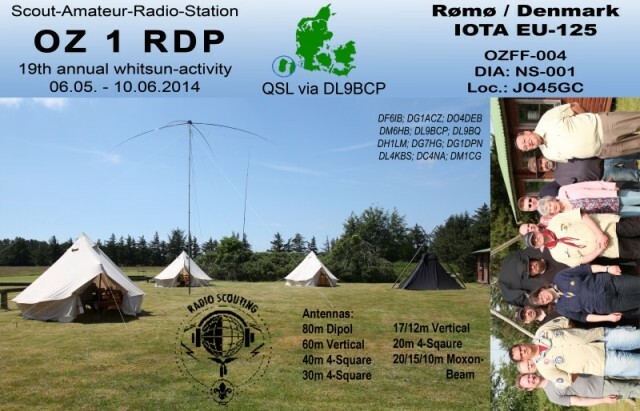 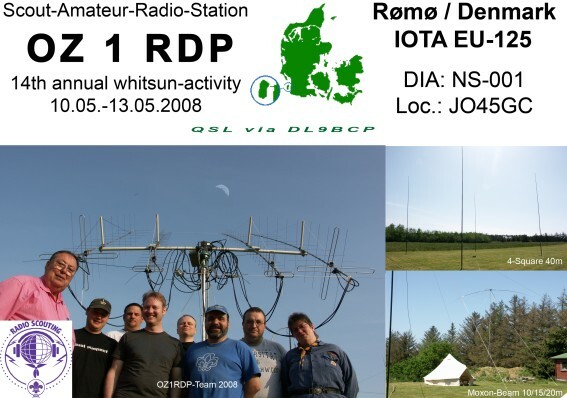 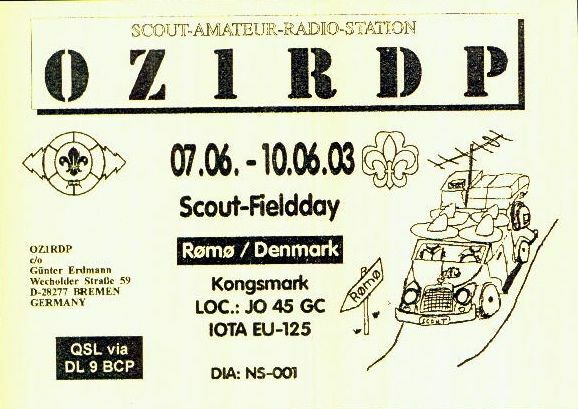 Denmark, "RDP" shows "Ring deutscher Pfadfinderverbaende". 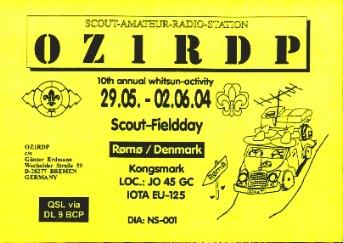 Since 1995 OZ1RDP has been activated only for one weekend in each year. 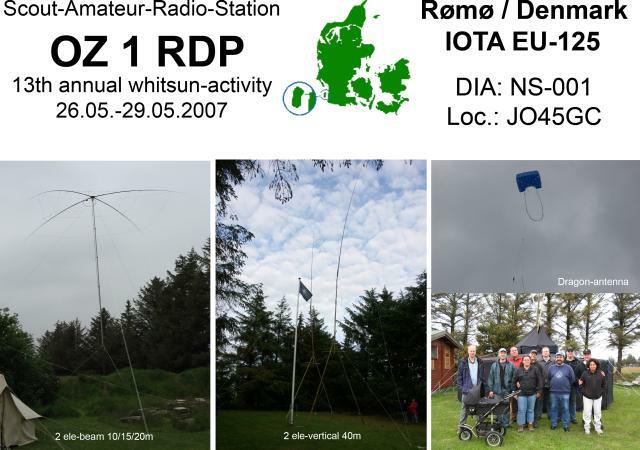 The Suffix "RDP"
types of antennas or modes will be tested. 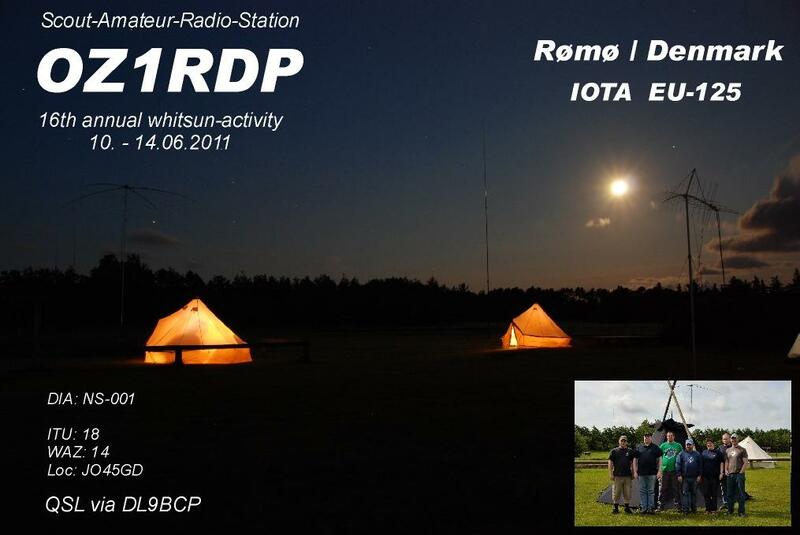 But the main activity is to have fun in running a radio-station. 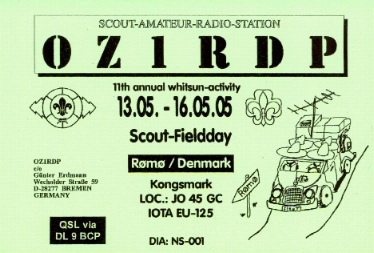 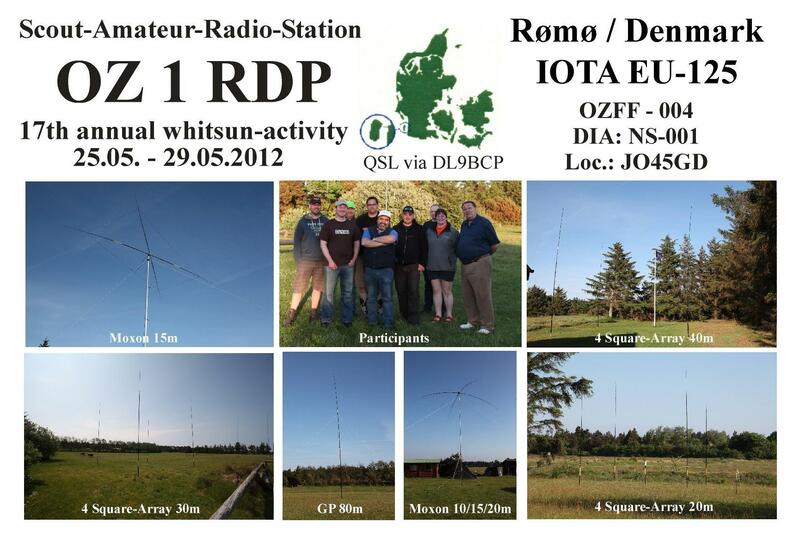 A click on one QSL-card shows more informations and pictures of the same activity.